In our pursuit to provide high-quality instruction for all, we have invested in recruiting and retaining top-quality educators who inspire bold thinking, recognize student potential, and encourage all students to work towards their goals. To support the strengths and interests of students, we are providing new experiences and expanding choice programs. Eighth-grade students in our district participated in a coding and robotics experience offered by Holyoke Codes. This is an incredible opportunity for students to further develop their technology and problem-solving skills through activities that are meaningful, engaging and exploratory. We are re-imagining the middle school experience and expanding middle school options in the Holyoke Public Schools. Opening new middle schools is aligned with our vision of a pathway for every student, responds to community input and creates more choice for students and families. In Fall 2016, we launched the P3 Personal Pathway Program at Peck and this year, we opened the Holyoke STEM Academy and Veritas Prep Holyoke School. Additionally, to support our move to the middle school model, we have received approval from the Massachusetts School Building Authority (MSBA) to begin studying options for constructing one large or two smaller middle schools. We have received approval from the Massachusetts School Building Authority (MSBA) to begin studying options for constructing two new middle schools. 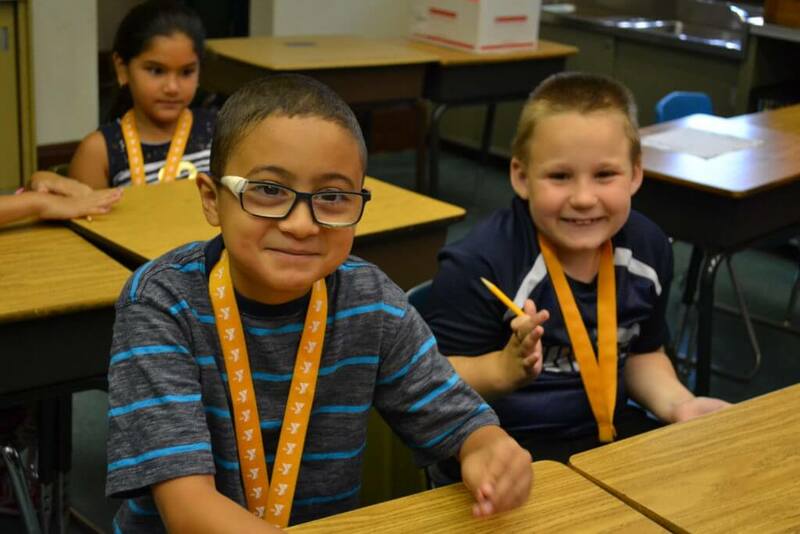 The dual language two-way immersion program that promotes grade-level academic achievement, bilingualism, biliteracy and multicultural competence has been expanded to include fourth-grade students at Metcalf and a new first-grade classroom at E.N. White School. Free preschool programs are now available in most of our neighborhood schools and boast family-friendly scheduling options. 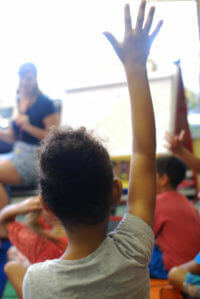 The Valley Opportunity Council (VOC) early education preschool programs at Holyoke’s Morgan School and Sullivan School have achieved the highest designation from the Commonwealth of Massachusetts known as Quality Rating and Improvement System (QRIS), standards that incorporate various regulation and research on child development into the rating system. The high school experience has been redesigned with the development of a series of thematic academies that will provide opportunities for students to develop a personalized learning path toward college, career or both. Built upon choice, and access to advanced educational opportunities, the plan deepens student engagement and provides families and business and civic leaders explicit opportunities to partner with educators to help guide students’ career and college plans, as well as strengthen our local economy. Importantly, our academy structure will prepare our students for the global economy and a society that demands more critical thinking and higher levels of educational achievement. It is a structure that gives our students a competitive advantage, ensuring they graduate with stackable credentials sought after by employers and colleges and universities alike. We have redesigned and expanded the school day to beyond 7 hours, providing students in kindergarten through eighth-grade with extra learning time. When done well, expanded learning time raises achievement, enriches education, and empowers teachers. This additional time allows for high-quality core instruction, tiered supports for students, and opportunities for students to explore their interests in the arts, sports, sciences, and local and world cultures. We also have a Math Acceleration Academy that provides intensive learning experiences for hundreds of selected Holyoke students. Teachers in all schools engage in two hours of professional learning each week that serves to empower teachers and to support continuous professional growth. Instruction in HPS is aligned to the Massachusetts Curriculum Frameworks and the Common Core State Standards. These standards are academically rigorous, cohesive, and comprehensive. Units of Study and Lesson Plan design include the learning expectations that are revealed within the Standards. Assessments in HPS are designed and implemented to provide sustained checks of student learning. Educators utilize data analysis protocols to reflect on previous instruction, and to inform future student learning needs. Formative, Summative, and Benchmark (Interim) assessments embed the learning expectations of the Common Core State Standards. Data and Accountability are explicitly aligned to the instruction and assessments for our students. For example, information from the students’ STAR Assessments supports teachers and school leaders to determine which students are gaining ground or falling behind in standards mastery, where to focus instruction, which may require intervention, and whether the curriculum and interventions are making a difference.